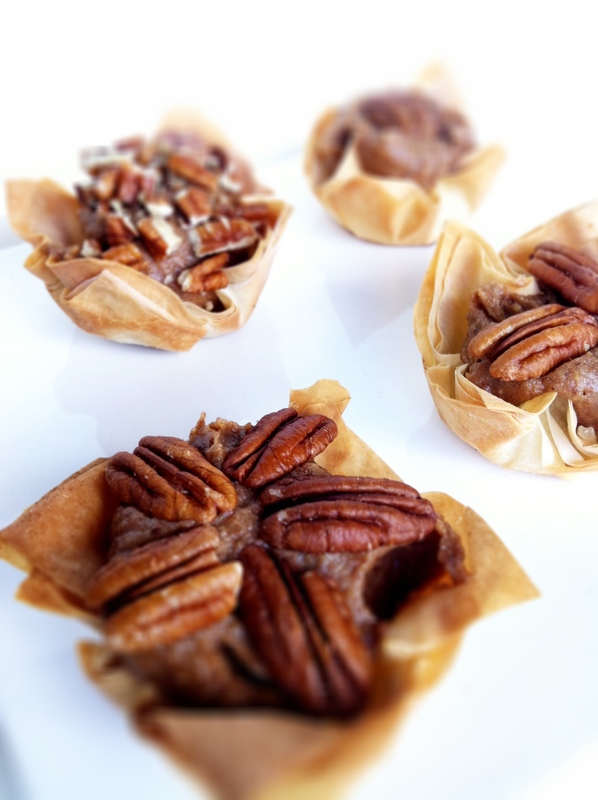 Today’s recipe is for my Skinny Pecan Pie Tarts – These are unreal!!! You will not miss the real thing this Holiday season with theses little cups of joy! This pie filling is raw, vegan (when made with Agave) and Gluten-Free. Oh, and it tastes delish! Yes, it does contain fats and sugar but all from natural sources! This treat is worth it in every day. Your guests will love them too! 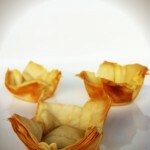 For parties think about making your Phyllo Cups in the mini muffin tins for bite sized treats. Today I am showing them made with the regular sized muffin tins. 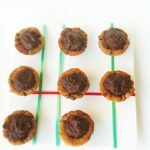 If you want to add to this recipe adding cinnamon and stevia to your cups while making them is a great option. 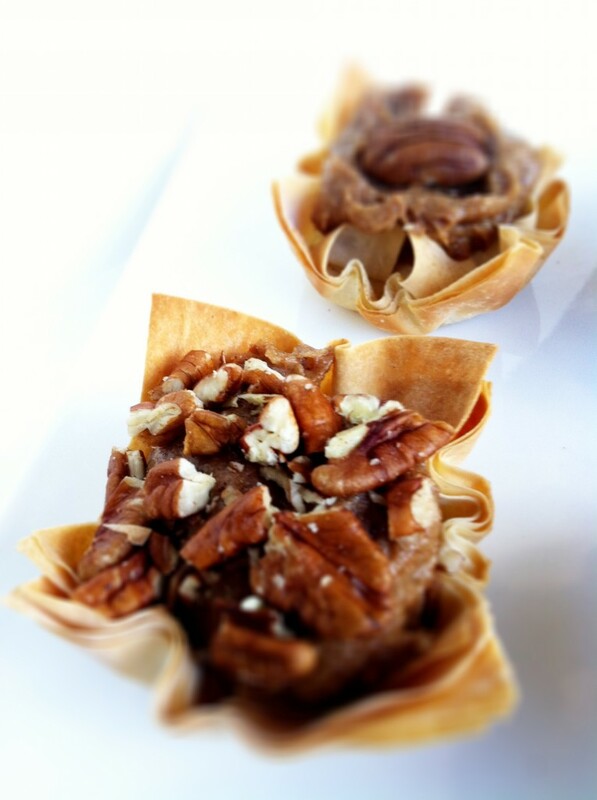 I love them plain to off set the sweetness of this pecan pie filling. If you have different eating concerns and can not find healthy phyllo pastry you can always make a raw crust simply by grinding nuts, dates and spices! 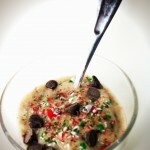 Make sure to try this easy dessert this Holiday season! Can’t wait to share day 24 with you all! Ps – you can sign up to have these recipes come right to your inbox by signing up for our newsletter on the right hand side of the blog! Makes 12 regular muffin tin-sized servings plus. This is so simple!! Place all ingredients into your food processor and blend until smooth. Take pie filling mixture and place evenly in your Phyllo Cups. Top with extra pecans for decoration and added crunch. Place in the fridge or freezer for a couple hours. 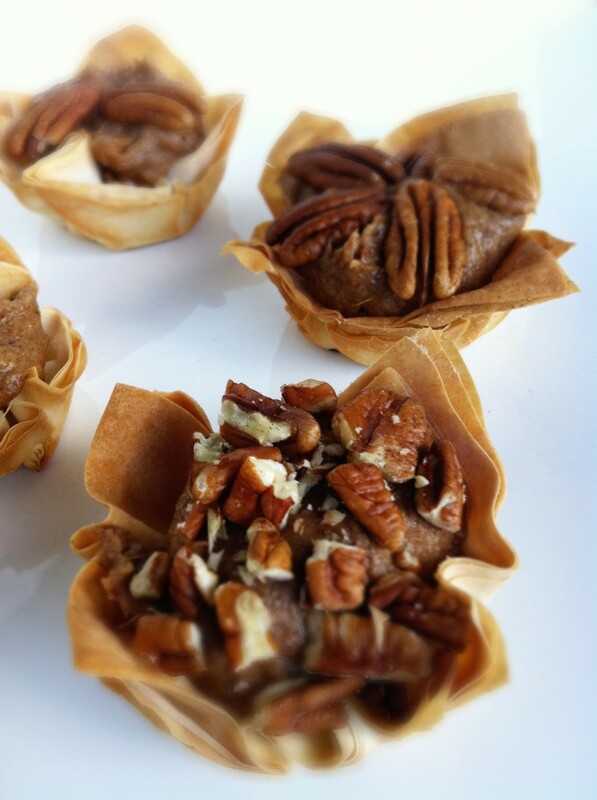 Tip – I find the more pecans on the top the better tasting! Tip – If you do not own a high powered food processor make sure to chop your nuts, dates and bananas well before processing. 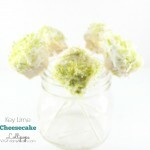 Tip – These are great topped with our Coconut Whipped Cream. 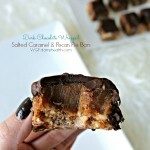 DAMY Members – this is a treat recipe to enjoy and serve this Holiday Season. Amy Layne is a Personal Trainer, Holistic Nutritionist and Lifestyle Expert at DAMY Health. She is the creator of the popular DAMY Method Program and world famous Bikini Body Program. To see Amy’s Before and After Photos and DAMY Member Success Stories Click Here. Connect with Amy on Twitter @damyhealth and on Facebook. “Amy, your program is amazing!!! I have been working out for years and years and the scale never, ever budged. Today I am 10 lbs lighter and have been on the program for 6 weeks and working on the 7th. My body is changing and I look stronger and my body is tight and fit. I can’t wait to see the full transformation when I complete the program on June 14th.